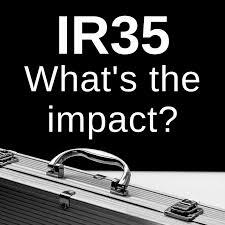 The original IR35 rules launched in year 2000 were extended and adapted for use in the public sector from 6 April 2017. They are embodied in Chapter 10 of the Finance Act 2017 and technically should no longer be called IR35 – however the use of that name persists! The public sector rules make hirers and supplying agencies liable for PAYE and both employer and employee NI unless the supplied contractor is not caught by the IR35 tests. Primary liability rests on the party that pays the contractor, this will be the hirer unless a supplying agency is involved in which case it will be the agency. The hirer has a duty to inform the agency if the rules apply and initially there was no liability for the hirer unless it failed to inform the agency of its decision or reasoning when requested. However changes were made at the last minute to place responsibility upon the hirer where it fails to act reasonably in reaching its decision. This has forced hirers to take positions in order to avoid risk, with some adopting a blanket approach. Although not included in the legislation itself, HMRC has created an online tool for use by anyone wanting to establish whether the rules apply. Its principal purpose is to facilitate decisions and all parties involved in the supply chain are encouraged by HMRC to use it. However HMRC has never accepted that a result from using the tool can be wholly relied upon, at all times HMRC reserving its position. This in itself has created confusion. Further the tool follows a check box approach, and although HMRC claims it to be robust and fit for purpose, it is clearly not. For example it attempts to decide whether the rules apply before any assignment starts, it cannot review the terms of contracts, and it is invariably completed by individuals who have no understanding of employment law and status tests or who necessarily understand the full nature of the working relationship. Many of the issues that were likely to lead to problems were identified by ARC early on. As a result we challenged the proposals, and whilst we achieved some success in helping towards the last minute changes, key areas of concern remained and were drawn to the attention of all MPs. The consequence was that the Treasury Select Committee arranged a hearing to review the entire position but this was thwarted by Theresa May’s announcement of an election. The measure passed through Parliament with no objection. Accordingly the position is very unsatisfactory. Since enactment complaints about contractors moving from work in the public sector have been rife, and the online tool has faced sustained criticism from some quarters. Agencies and hirers remain confused and thus often find it easier to decide the rules apply. ARC believes that the government’s approach is overly complex, unduly onerous on agencies, unworkable in practice and potentially unlawful. As at 22nd November 2017 the government has announced its intention to consult on extending the rules to the private sector. In the light of the continuing unsatisfactory position, ARC will again raise the issues already highlighted both within the consultation and with the Treasury Select Committee. Business wishing to work with ARC on this should contact our Chairman Adrian Marlowe. ARC ‘fighting fund’ to challenge this legislation. Whether or not you are a member please help our effort by contributing to our fighting fund. If you agree this and other legislation, such as the apprenticeship levy, disproportionately affects your business and should be challenged, that the best way to achieve a fairer legislative platform is if we all work together with one voice, and you are keen to be on the inside track, then please call us on 01273 777997.